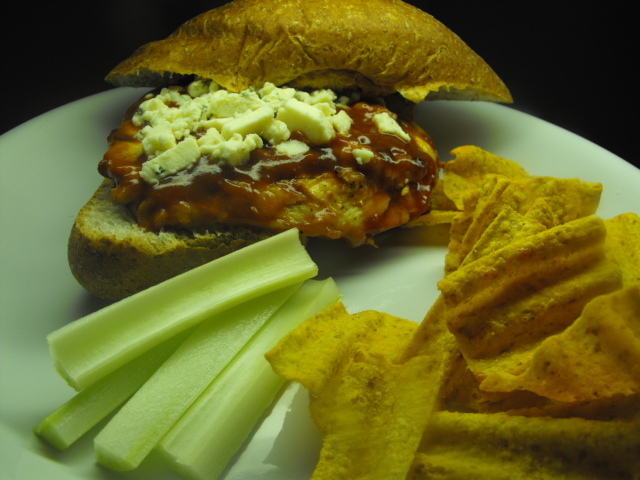 My husband has a few favorite dishes, meatloaf with corn and mashed potatoes (he’s a country boy from Montana), gyros, and Buffalo Chicken Sandwiches with Sun Chips. Here is my no brainer recipe to make him smile. Grill the chicken and make the barbeque sauce. Add as much hot sauce as you like to the barbeque sauce. 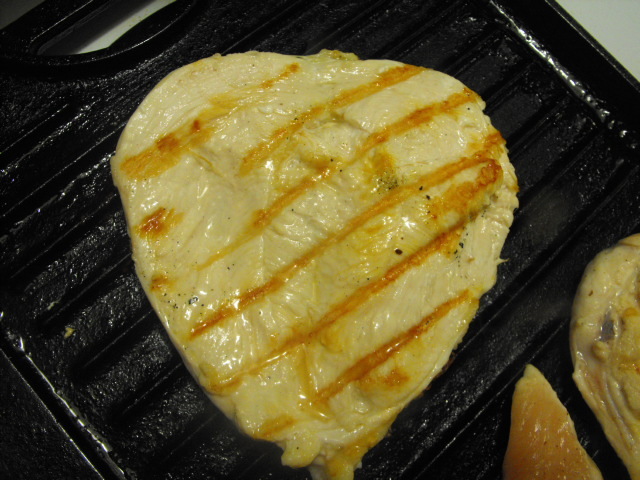 Dip cooked chicken breasts in sauce and cook for 5 to 10 minutes over low heat. 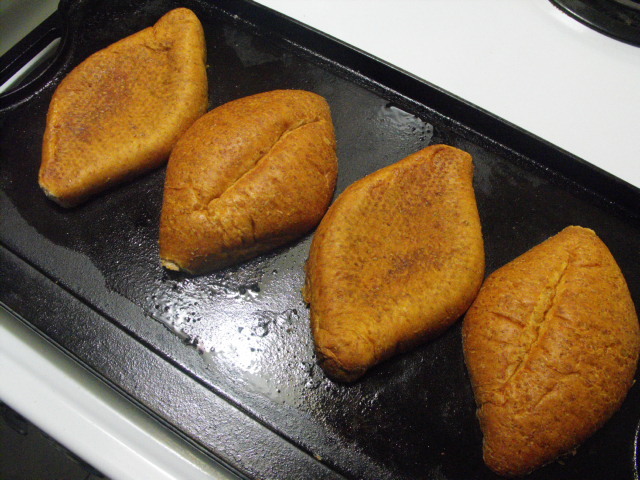 Cut rolls in half and toast or grill. 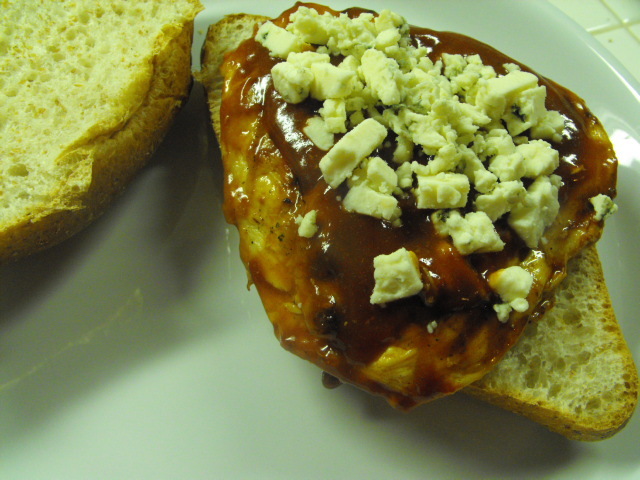 Lay a saucy chicken breast on each roll and top with 1 T bleu cheese. Makes 4 sandwiches. They are so good with Sun Chips!